NMYO training and performance opportunities are intended to supplement school music programs. 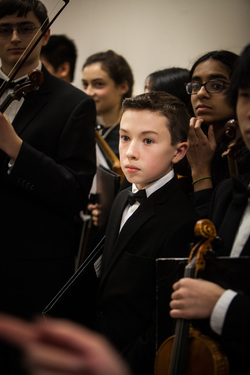 It is the policy of the Northeast Massachusetts Youth Orchestras, Inc. that each musician participates in his/her school music program, if offered at the musician’s school as part of the school day curriculum. Strings will participate in the string program. Winds, brass, and percussion students will participate in the band program. Musicians will be excused from a NMYO rehearsal if it conflicts with a school music program performance. 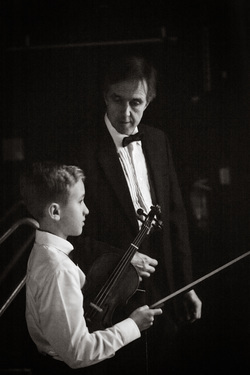 NMYO requires all participating musicians to take private lessons in their primary instrument with an instructor qualified to teach that instrument. NMYO has an outstanding music program. When NMYO performs in public, we want to present the entire package to the audience. This means playing our best while looking uniform and professional. Therefore, the NMYO Dress Code Policy has been established for all public events and formal promotional photographs or video recordings. Attire that distracts from the music is considered unacceptable. Musicians who do not follow the dress code will be instructed to contact a parent to ask for the appropriate concert dress prior to concert time. If the attire is not considered appropriate and in accordance with the dress code, musicians may be asked to perform at the back of their section or may be asked not to perform at all. For an in-depth description of each ensemble's attire, please refer to the member handbook. Past orchestral experience has demonstrated that more than two absences from rehearsal within a semester, whatever the reason, are likely to have a negative impact on a musician’s ability to contribute to his/her ensemble. Consequently, the Music Director and the Executive Director will review attendance with any orchestra member whose attendance falls below this standard. Decisions will be made on a case-by-case basis. Please refer to the member handbook for a complete attendance policy regarding rehearsals, concerts and enrichment days. 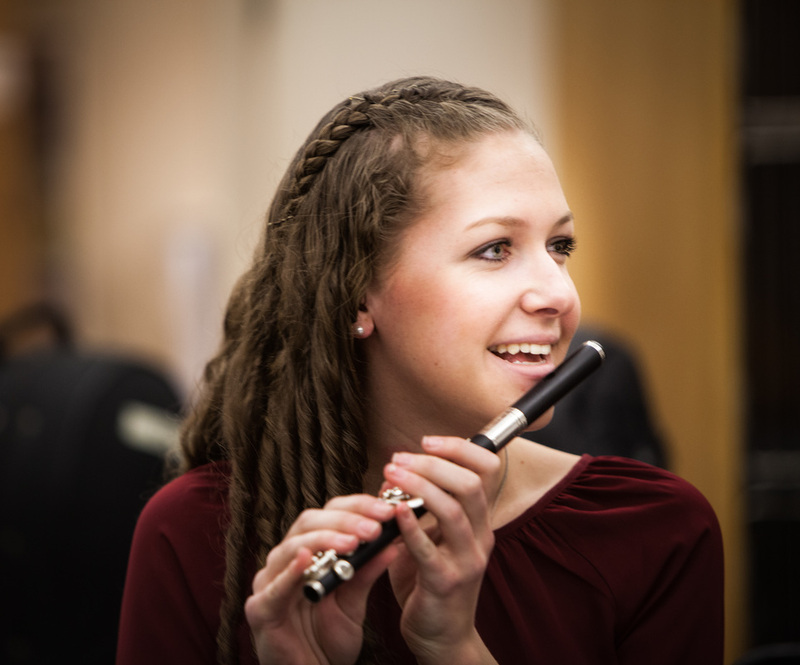 NMYO musicians are expected to treat all fellow musicians, conductors, NMYO staff, board members, volunteers, and concert attendees in a respectful manner at all times. Musicians are also expected to respect all physical property, as well as rehearsal and concert facilities. Attention will be directed to the ensemble conductor. 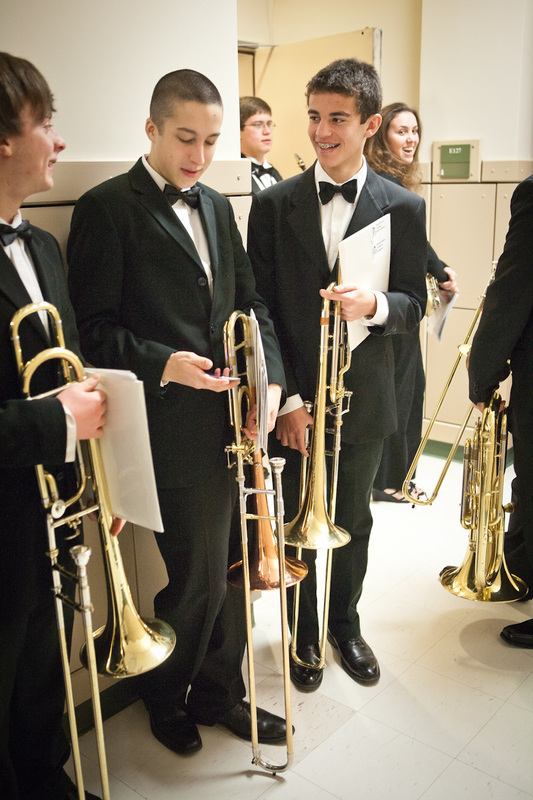 NMYO musicians will arrive 15 minutes early and be ready to rehearse 5 minutes before each scheduled rehearsal. Musicians are expected to take careful notes when a conductor talks about the music and gives instructions. Rehearsal and concert spaces should be left in the same condition or better condition than before the event or rehearsal. For more details, please refer to the member handbook. Northeast Massachusetts Youth Orchestras, Inc. (NMYO) is a 501 (c)(3) nonprofit organization and complies with all applicable federal, state, and local laws and regulations. NMYO is committed to the principal of equal opportunity in education and employment. NMYO prohibits discrimination against or harassment of any student, employee, applicant for employment, NMYO community member, or third party because of race; color; national or ethnic origin; age; religion; disability; gender; sexual orientation; gender identity and expression; genetics; or veteran status.